When PV Puvvada was a student at Indian Institute of Technology, a premier university in India for up and coming engineers, he knew he had the academic record to land a great job in the IT field one day, but wasn’t so sure he had the skills to make it as a leader. Fast-forward to today and Puvvada has more than risen to the challenge. 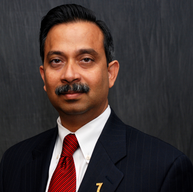 As vice president and chief technology officer of federal systems for Unisys in Reston, Va., Puvvada oversees a team of 500. So, how does he do it? A key to his leadership, he says, is emotional intelligence. In the following Q&A, Puvvada offers this and other tips on ways to leverage one’s team and rise to the challenges and rewards of leadership. Any tips on providing a team with strategic direction? Let me give you an example: We implemented a groundbreaking system called Call Data Report (CDR) for regulating the health of more than 7,000 financial institutions governed by the Federal Reserve Board, the Federal Deposit Insurance Corp., and the Office of the Controller of Currency. We came up with a very innovative solution for these agencies to monitor financial institutions, which is a very critical function given the current financial turmoil. We leveraged an innovative technology called Xtensible Business Reporting Language, which dramatically altered the outcomes for our clients by giving them accurate data right at the source and the ability to approve financial reports much faster. These days, more than 90 percent of CDR reports using the new technology can be processed and certified in days, not months — as was the case before. You’ve got a team of 500 — how do you effectively manage them all? PV Puvvada: The key is to find leaders who share a common vision and can actually execute on that strategic direction. At this level of leadership, technical competency isn’t enough; you’ve got to have emotional intelligence. Most often what people lack to get to the executive level are softer skills — the ability to listen, empathize, communicate, facilitate and help drive an outcome. So that is how I do it — I invest in people with executive-level mindsets who also share the same vision. You mentioned emotional intelligence. What are some keys to being an emotionally intelligent leader? PV Puvvada: Successful leverage of emotional intelligence rests on the ability to understand how you are perceived and to then communicate in a way that takes that perception into account. Once you are aware of others’ perceptions of you, you can work on improving the way you communicate — and lead. Can you name a few successes you’ve had in your position over the past year? PV Puvvada: The big success is that we fundamentally shifted our strategic focus more to our core competencies and differentiation. So, for example, we used to focus only about 50 percent of our resources on what we call our strategic programs versus all of our other commitments. Over the last year, that focus has jumped to 80 percent. Reaching that point required bringing on board key leaders and subject matter experts who have track records of success in leveraging differentiated solution offerings. The other thing is the focus on making our clients successful and recognized in the marketplace. Several of our clients last year were recognized for the innovations that they brought to the table, and we’re glad to have helped them reach that point. Flashback to your days as a student at IIT in India. Could you have imagined back then where you’d be today? PV Puvvada: Well, first of all, I couldn’t have imagined how small the world would become; it’s a connected world, I didn’t really imagine that. Second, even though I knew I had the academic record to secure a good profession in the IT field, I didn’t really think that I had so much potential in the leadership arena. What’s something you’re personally passionate about? PV Puvvada: I spend a lot of time with my family and enjoy unscripted vacations. We travel a lot to learn and experience different cultures. Our boys would like to visit all the continents and we are halfway there. What is one of your favorite places to visit? PV Puvvada: France. It is just a fascinating combination of culture. Plus I love the architecture — the buildings in Paris, for example, and the chateaus in rural France. And the food is fantastic — it all comes from people who are passionate … passionate about their wine, about what they built and about whom they want to be. In conclusion if you could say what you are passionate about, what would your 30-second elevator speech be? PV Puvvada: To make a better tomorrow by learning from successes as well as failures. I am very optimistic about the potential of our future generations and America’s continued role as the most innovative and amazing place in the world.